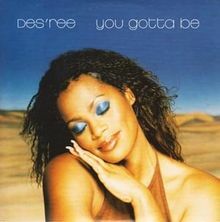 If we have to talk about motivational songs, we cannot forget to mention this great artist, Des'ree, with her lovely song "You Gotta Be". Released in 1994, it was lanced all around the world reaching the top ten in the USA, UK and Australia and peaking the number one in Spain. Let your journey begin the best way possible and hear this song to inspire you! !